The cabin is 1400 square feet with decks and a spa. LED TV and DVD player in each bedroom including the family room, with cable, WIFI, Full DVD library of movies. The home has an open concept kitchen with range, stove and refrigerator. Park Style charcoal BBQ. There is no extra Pet Fee!! 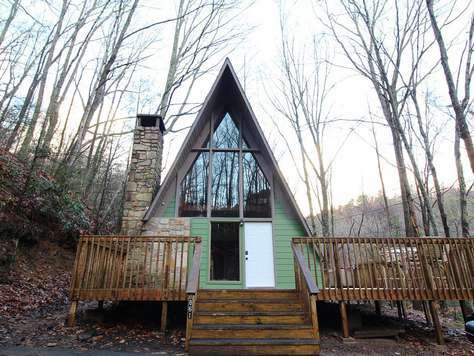 The home is located in a secluded area which is very quiet with easy 5 minute access to Gatlinburg and Ober Mountain. House is directly off Ski Mountain Rd with easy driveway access. Want to stay at the beach? Look us up here on AIRBNB or contact me directly. The cabin is within a 3.8 miles (5 minute drive) to Gatlinburg, Ober Mountain and the Smokys, without a lot of windy roads. Dollywood is 11 miles from the cabin.